Eleanor Nawiso, best known for her role ‘Hope’ in the Hostel, a Television series that ran on NTV Uganda between 2011 and 2015 is one ‘celebrity’ that chooses to live a humble life. Having married a crew-mate Mathew Nabwiso in 2014, the couple started a film company, and has since produced several movies. 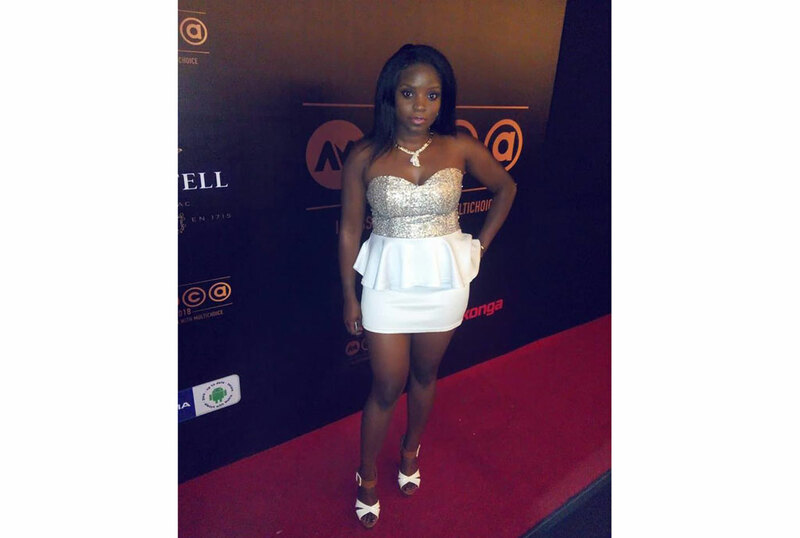 At the weekend, they turned up in Nigeria for the Africa Magic Viewers’ Choice awards. All was well until Eleanor walked to the red carpet in her Wedding changing dress. The royal blue dress still fit her perfectly like it did on her wedding day. However, the internet does not forget. As soon as it was posted on Style City, a fashion police group on Facebook yesterday, critics were quick to notice that she had rebounded a dress from way back in 2013. “Changing dress,”Esther Babirye commented. “I don’t know why bad things happen to good people. Fix it Jesus!” she added. A sign of relief when Caroline R Beryl commented; “The suit and dress looked nice when they were on stage. “I remember that was her wedding changing dress.did she do a rebound?” asked Tendo Florence Bakireke. Ugandans are too critical, when did it become criminal to rebound clothes? Meanwhile on another group, Fresh Peaches, many defended her choice of outfit. Tania Rakeri, a fashion designer and member of the group explain to members that Nabwiso had actually tried to look for a dress her size, but failed. This pic talks volumes of humility.Yay! Much as there was a backlash, at least she had the mercy of married women on the group that have children. 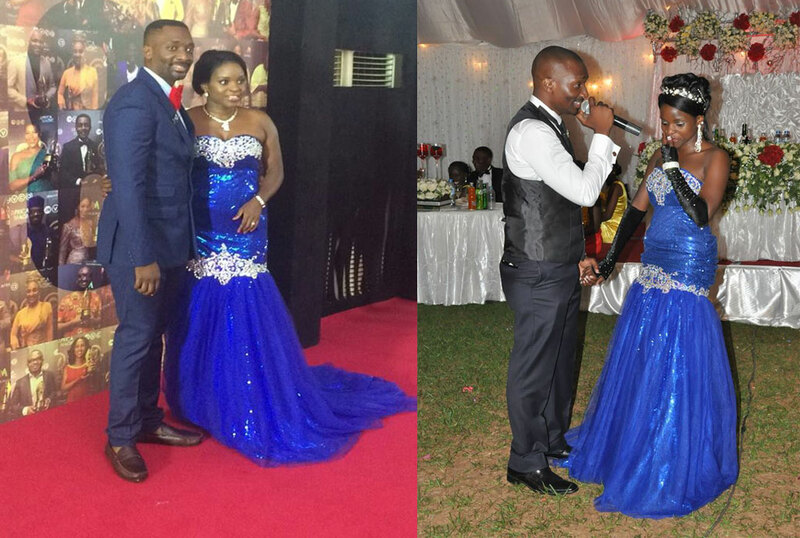 In a post on her facebook page, Nabwiso explained the reason she wore her wedding dress to the awards.